A great fish tank accessory that will add plenty of interest to your aquarium. 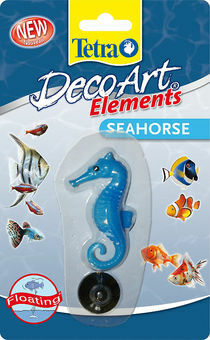 The suction cup can be used to anchor the Seahorse to any glass in the aquarium. It will then float, anchored to the suction cup via an almost invisible wire. Suitable for use in tropical, coldwater and marine aquariums.